Happy Thanksgiving! 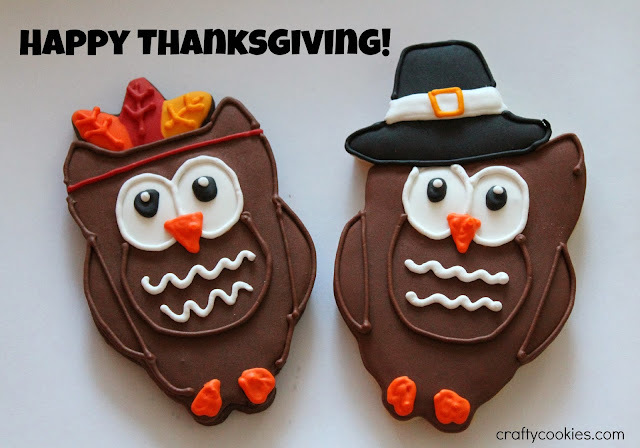 These cute owl cookies are going to my brother-in-law's house today, where my husband and I will celebrate Thanksgiving. I decided to change up my basic recipe a bit, and give these cookies an essence of the season. The secret? Nutmeg. Nutmeg always reminds me of my Dad, who always used to make us eggnog on Thanksgiving while we watched the Macy's Thanksgiving Day Parade. He would grate some fresh nutmeg on top of the eggnog and the smell always reminds me of Thanksgiving. My great aunt Beulah also used to use nutmeg in her sugar cookie recipe, which was the one my mom used to bake when my brother and I were kids. It adds a nice, warm flavor to the cookie. 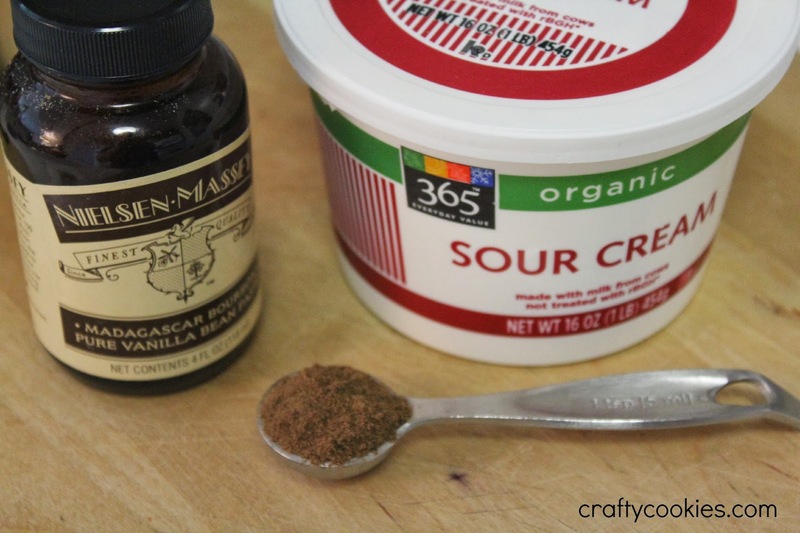 I don't have a fancy nutmeg grater like my Dad, but you can use the stuff from the spice aisle. I'd start with half a teaspoon and use that instead of adding almond extract. When you add nutmeg though, make sure you double up on the vanilla extract (2 tsp. ), to equal out the dry to liquid ratio.